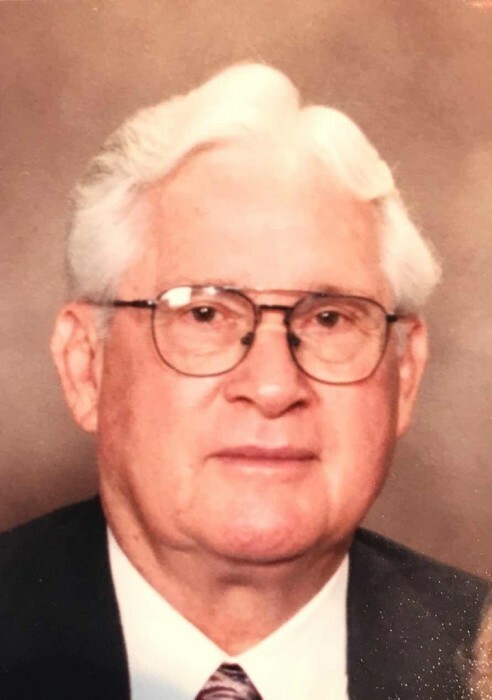 Delbert Davis, 94, of Canyon, Texas passed away on March 29th. Delbert was born in New Albany, Indiana on November 28, 1924. A gathering of friends, to greet the family, is scheduled at Brooks Funeral Home on Sunday March 31 from 4:00 p.m. to 6:00 p.m. A graveside service is scheduled Monday at 2:00 p.m. at Dreamland cemetery. After graduating from high school, Delbert inducted in the US Army, assigned to the Pacific Campaign during WWII. Delbert married Doris Davis upon returning home from the war. The couple moved to Canyon where Delbert went to work for his uncle Clyde Davis. Delbert later went to work and retired from the United States Postal Service. He spent his entire career delivering mail in Canyon. After retirement, he sold real estate full time for Hooper Realtors. He and Doris spent winter months in Clermont, Florida. Fishing and socializing were his passions. Delbert is survived by his wife, Doris King Davis; daughter, Judy Green and husband Terry; son, Dale Davis and wife Dorothy; sister, Bonnie Mathieu; two grandchildren, Austin Davis and fiancé Brett Ryan and Erin Heisler and husband Aaron; three great grandchildren, Lilly, Tylee, and Cutter. Delbert was proceeded in death by his parents, Delbert S. Davis, and Tylee Davis, along with his sister Imogene Thompson.